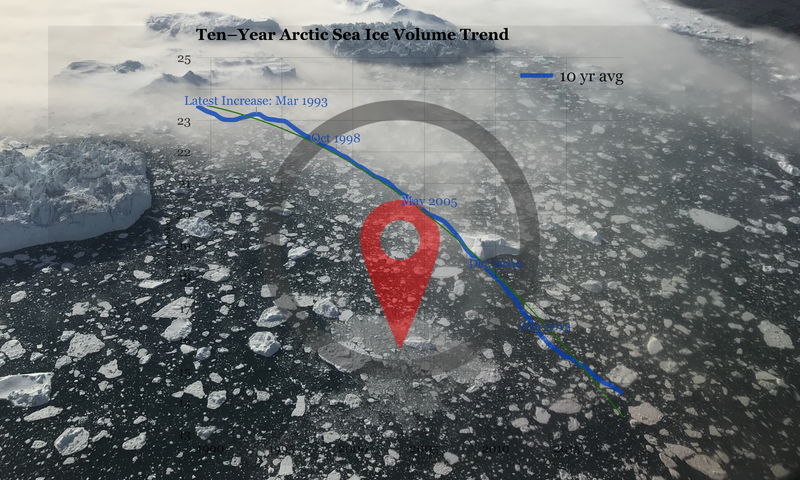 How fast and how early can we lose the first million km² of sea ice in the Arctic, after the winter ice maximum? Well, 2019 has set new records for both, as you will see in this graph. The correct answer (and new record) is 21 days and April 2nd. April 15th used to be the previous record for earliest loss of a million, held by 2014 for 5 years. And tied with 2010, 2014 also held the record for fastest loss, counted from that year’s maximum. These two new records entered into the Climate Collapse Hall of Fame may secure 2019 a rep as the Year That Will Live in Infamy, as well as the year we began to say bye–bye to organised humanity and global industrial civilisation.